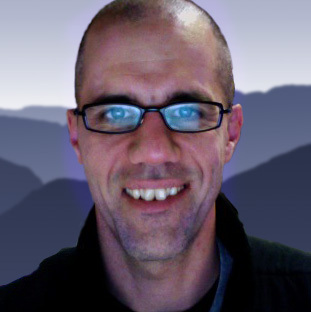 Andreas deDanaan, MSIT, is a graduate of the Master of Science in Information Technology program at Marlboro College Graduate School in Brattleboro, Vermont. Before moving to New Hampshire, he worked for a number of book publishers in the San Francisco Bay Area including IDG Books Worldwide, Lonely Planet Publications, and Wilderness Press. Andreas trains in aikido and holds the rank of shodan (first degree black belt), and he is an avid road and mountain bicyclist and mountain unicyclist. He is a husband and father. Andreas blogs about interaction design and Internet technology. His Web site is at http://www.dedanaandesign.com/, and his twitter user name is @eyegoneblack, an imagined word in James Joyce’s Finnegans Wake. Connect with Andreas on social media.